It may look like a peaceful winter wonderland. But if you visit the Davos ski resort in Switzerland this week, you’ll hear some forecasts that will chill your nerves as an investor. Fortunately, there’s a silver lining. One that will set you up for luxurious gains on your 2019 brokerage statement. But to lock in these profits, you’ll have to be brave! Let’s jump in and see what’s happening in this snowy winter summit. 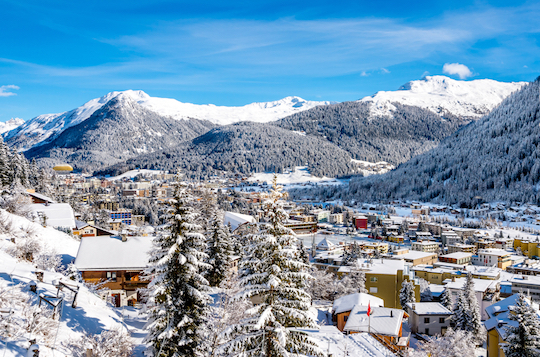 Each year, the most influential investors, business executives and world political figures visit the tiny ski retreat of Davos in Switzerland to attend the World Economic Forum. It’s a time when these leaders can meet face to face and discuss the state of the world economy, and how to promote the best growth possible. I’m always intrigued by this gathering because there are so many different opinions and agendas represented. While it is interesting to hear the different perspectives that are presented throughout the week, it’s important to remember that each perspective is influenced by the person’s experiences, professional role and personal biases. So far this week, the conference has featured a number of ominous warnings when it comes to global economic growth. After strong “synchronized” growth in 2017, last year featured an environment where the United States grew while the rest of the world faced economic struggles. A big part of the success here in the United States came from lower taxes and a healthy business environment that created millions of new jobs. The question this year is whether the U.S. will join the rest of the world in struggling to grow, or whether our economy will continue to buck the trend and continue to expand. Of course, the academic “analysts” presenting at the World Economic Forum are warning of a slowdown for the United States. They’ve been singing out of the same hymnal since the bull market first began 10 years ago. But even in their dire warnings, there is a silver lining. Because the presentations that I’ve heard so far explain that the U.S. will likely experience a “slowdown in growth” rather than a full-out recession. The difference here is key. A “slowdown” in growth means that our U.S. economy will still continue to grow. We will add jobs, and corporations will grow earnings. Heck, we’ll likely see workers continue to get bigger paychecks and spend money on more discretionary purchases. That’s far from a recession — which is when the economy actually contracts, people lose their jobs, and the environment becomes much more challenging. While recessions are a part of the overall economic cycle, the U.S. economy isn’t showing signs of entering that type of environment any time soon. So despite the warnings of slower growth coming from Davos, the underlying data still points to a healthy U.S. economy. And that’s great news considering the picture for the rest of the world. One of the most encouraging discussions I’ve been listening in on is the question of whether to invest in the United States or the rest of the world. Even with the sharp pullback in the fourth quarter, the U.S. has been the best place for investors to put their capital. After all, our economy continues to grow and corporations are reporting record earnings! Looking to the year ahead, there’s no reason to believe this year will be any different. After all, China’s economic growth has been slowing dramatically. And yet stock prices for many Chinese companies still reflect optimism that the country will get back to the growth levels from a decade ago. That’s simply not going to happen. Looking at European investments, the Brexit discussion has left European markets in a place of extreme uncertainty. And many European banks have financial risks that are becoming much more worrisome. Elsewhere, the low price of crude oil has put governments and economies in energy-dependent countries into an uncomfortable place. And investors in those countries are looking for safer places to put their capital. That leaves the United States as one of the few healthy places to invest. And thanks to the fourth quarter pullback, U.S. stocks are actually cheap compared to the earnings that these companies are generating. That’s why here at The Daily Edge, we’re confident investing in thriving U.S. companies with growing earnings. We’ve had some volatility as stock markets have fluctuated. But investing in the best American opportunities has allowed us to weather the storms in late 2018, and should set us up very well for a profitable 2019. 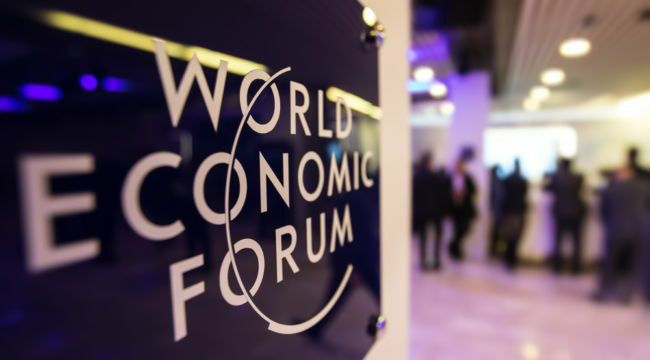 So don’t listen too closely to the warnings from Davos. Instead, keep your capital invested in the safest economy for the year ahead.